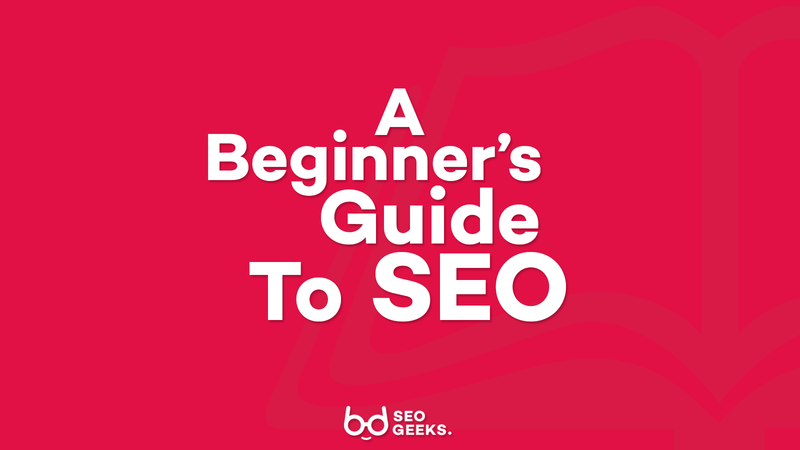 Welcome to the Ultimate Beginner’s Guide to SEO, everything you need if you are just starting out in the World of Search Engine Optimisation. Unless you’ve been curled under a rock for the past few years, you’ve probably heard the term search engine optimisation (SEO) bandied around in marketing circles. As a business owner or manager, it’s something you really must consider when planning out your digital marketing strategy… but where to begin? To bring you up to speed, SEO Geeks have put together a helpful guide that will tell you everything you need to know about SEO, including what it involves, why it’s so important, and how to create a future-proof strategy for your business. First thing’s first – if you’re a little unclear on what SEO actually means, let us enlighten you. Search engine optimisation is the process of improving your website’s visibility on platforms like Google, using relevant keywords to climb the search engine rankings. Businesses want to claim the number one spot on Google to increase traffic to their website, in the hope that this will lead to sales and, ultimately, higher profits. To do this, they must use a variety of SEO techniques to improve their presence on the search engine results pages. These techniques are complex and far-reaching, spanning from changes to the structure of your website, to publishing relevant, interesting content on a regular basis. Keywords and links underpin most techniques; targeting a concise list of keywords and search terms, and linking to authoritative websites, tells Google’s search engine algorithms that your website is trustworthy and useful. However, these algorithms are closely guarded and constantly changing; it’s near impossible to crack them alone. 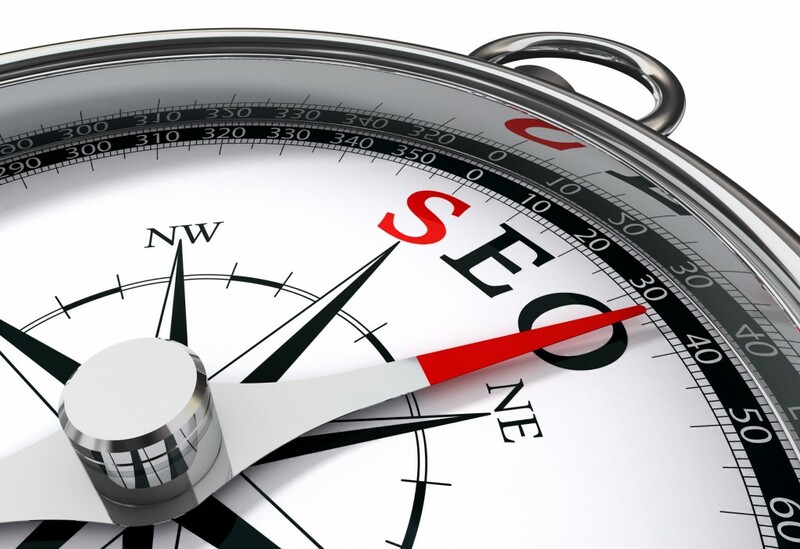 As such, most savvy business owners partner with SEO agencies that use their experience and tried-and-tested techniques to improve a website’s visibility. It’s no secret that search engines are now one of the first things consumers turn to when making purchasing decisions. So it isn’t difficult to see why search engine optimisation, when done well, can play such an important role in digital marketing. Advertising, social media, word of mouth and reviews – there are so many ways to draw traffic to your website, but search marketing is the most effective, outstripping social media by more than 300% according to Outbrain. What does this mean for your return on investment? Simple: more sales and more profit. Most companies that use SEO have much higher volumes of traffic to their website than those that don’t, meaning their revenue is likely to be significantly higher. By ranking well for the terms customers search for – whether that’s women’s shoes, domestic plumbers or Italian restaurants – you can ensure that visitors to your website find exactly what they’re looking for, upping your conversion rates in tandem. You invest in a website for a reason: search engine optimisation makes your online presence work harder, flagging up your products or services to Google and potential customers in the form of keywords and phrases. That’s why research by Ascend2 found that 82% of marketers rated SEO successful at improving rankings, traffic and lead generation. Even as a local business, you can’t rely on word of mouth alone. According to research by Google, 4 out of 5 consumers use search engines to gather local information; 50% of customers who conduct a local search on their phone visit the store within a day. As such, search engine optimisation isn’t reserved for the big dogs in an industry. Local businesses that invest in SEO stand to reap the rewards by attracting customers through their door who might otherwise have gone to a nearby competitor. While most towns and cities will be overflowing with plumbers, for example, you’re likely to rise above the competition if you rank well locally. So when someone searches for ‘domestic plumber in Birmingham’, or ‘emergency plumbers in Solihull’, you’re at the top of their hit list. It’s important to note that SEO is a totally different ball game to Pay Per Click (PPC) advertising, which involves posting an advert on page one of the search engine results pages for a set time period, at a set price per click. While PPC has its merits for providing an instant boost to your visibility, you’ll return to square one the moment your advert comes to an end. What’s more, studies show that up to 80% of people ignore the paid ads anyway. In light of this, most businesses look towards developing a sound SEO strategy, to achieve lasting results from their investment. Unlike PPC, this strategy takes time and patience; it’s a marathon, not a sprint, so when embarking on search engine optimisation, you need to be prepared to commit to a long-term approach in order to succeed. We would strongly advise against a DIY approach to search engine optimisation. Even if you’re able to pin down a concise list of keywords, keeping up with Google’s constant algorithm updates mean best practices one month might not be so the next. Large and mid-sized businesses with the budget and resources to commit to SEO often invest in a separate branch of their marketing department. The branch is then dedicated to running the search engine optimisation strategy and monitoring the performance of the company’s website. This is obviously unrealistic for everyone else. For start-ups and small-to-medium enterprises (SMEs), SEO agencies offer a cost-effective solution. By outsourcing to a trusted team of SEO Geeks (like us!) you can benefit from the expertise and manpower you need to rise up the search engine results pages. We can scale your efforts with your budget, ensuring you have proof of concept that SEO is generating tangible results for your business. So whether you’re a small, local venture or an organisation with big ambitions, our SEO services can give your business the boost it needs online. When investing in a long-term strategy, you want to be sure that your ship will stay on course, delivering the returns you anticipate for years to come. To this end, it’s useful to look ahead at the future of SEO, assessing how search engine optimisation will evolve as time marches on. The Internet – and its usage – is continuing to grow at an exponential rate, thanks to the affordability and ease of access to some of the most widely used platforms. As the volume and diversity of searches increases, there is an outstanding opportunity for search-savvy brands to drum up organic traffic for their website and maximise its conversion rates. One thing is clear as we gaze into the horizon; the amount being spent on SEO by companies of all sizes is on the rise. Looking over the pond, in the US alone this is expected to grow from $65 billion in 2016 to $80 billion in 2020. 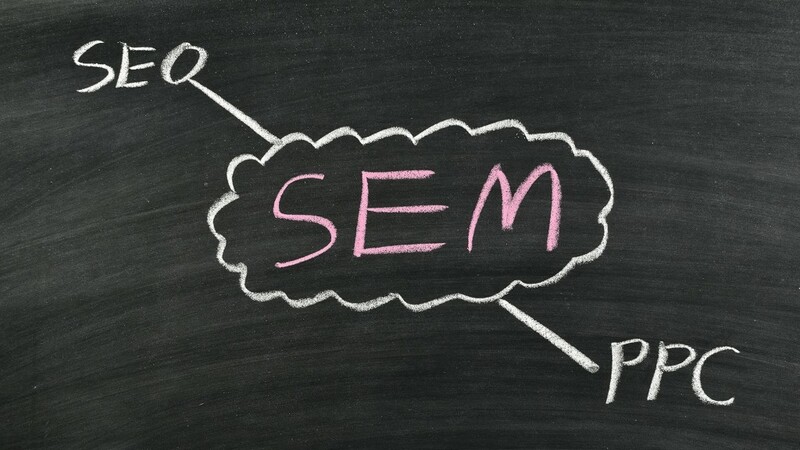 Businesses are dedicating ever-greater portions of their marketing budget to search engine optimisation. It isn’t a stretch to say that, at some point in the not-so-distant future, every company will use SEO. While many companies are already pouring their resources into this strategy, the ship certainly hasn’t sailed for newcomers looking to make their mark on the search engine seas. During your encounters with digital marketing, you may have heard claims that ‘SEO is dead’ or that it will become redundant over the coming years. This is because search engine algorithms, as we mentioned earlier, are becoming smarter by the day. However, while the techniques used to maintain visibility on the search engines are certainly changing, they’re becoming anything but obsolete. Skip back a decade and you might have heard naysayers making similar claims when Google brought an end to ‘black hat techniques’ that involved stuffing websites and articles to bursting point with links and keywords. Fast-forward to 2016, and SEO is still as relevant as ever; it’s just maturing, putting a higher emphasis on quality to ensure that users get the best possible results from every search. Brands that produce credible content and partner with reputable SEO agencies have nothing to worry about. In fact, their diligence will be rewarded… you’ll see soon enough what we mean. Search engine optimisation may sound confusing at first, but it’s really nothing to get in a pickle about if you have the right support. Understanding what SEO is and why it’s so important is an essential first step towards online success, putting you in good stead to make the right decisions about your search marketing strategy. Ready to move into the nitty gritty to mapping out an action plan? Let the SEO Geeks do the hard work for you. Give us a call on 0121 296 9089, Whatsapp 07734695417 or fill in our online form and we’ll get back to you pronto!